I came across your post and could tell from this one picture that you have a pretty great collection from “Queen Mary”. I especially love the main lounge chair. If it’s not too forward I’d love to see more pictures of your collection. 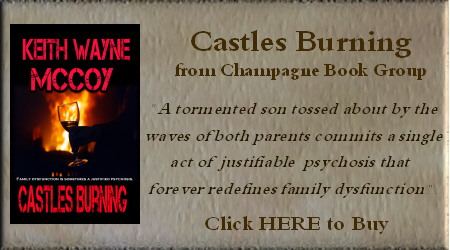 I am terribly sorry I have waited so long to respond to your kind post but I am immersed in both edits for a novella called “Castles Burning” and writing a novel called “The Governor”. 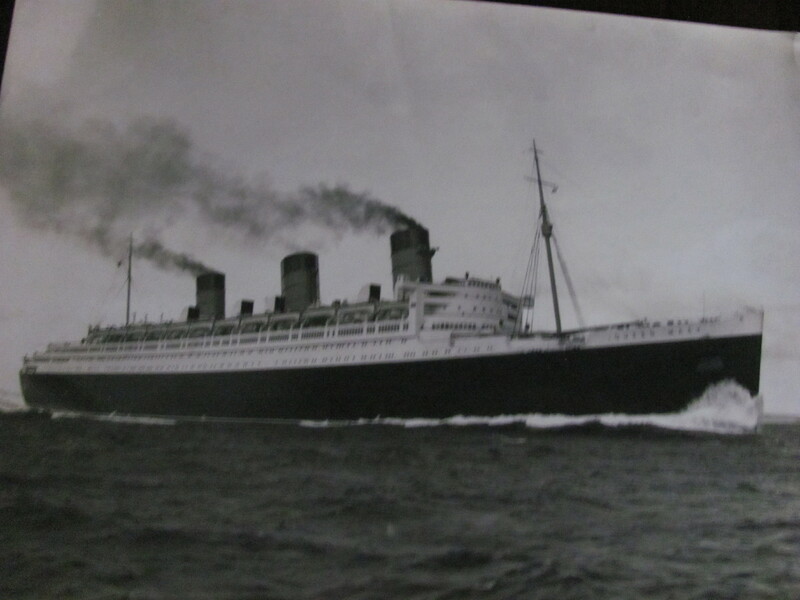 I, too, enjoy QUEEN MARY memorabilia and do have photos to email you. I promise to do so as soon as I find a bit of time. I recently acquired an occasional table from QM’s Long Gallery which I am certain you would appreciate given your love for her. It is 1 of only 2 known in existence. 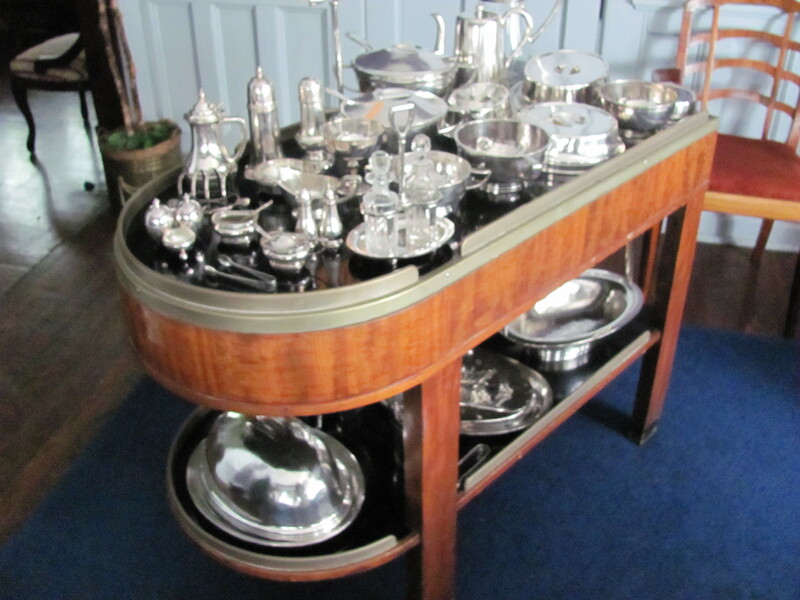 As for your website, I simply love the dresser from a First-class suite/stateroom. I have wanted one for years. I will be forthcoming with you regarding prices if you will do the same. With that in mind, may I ask how much the dresser set you back? I have never even seen one offered either by dealer or the ubiquitous Ebay. I promise to send photos as soon as I can, possibly today. Looking forward to your response regarding the dresser and thanks for contacting me. I truly enjoyed your website. 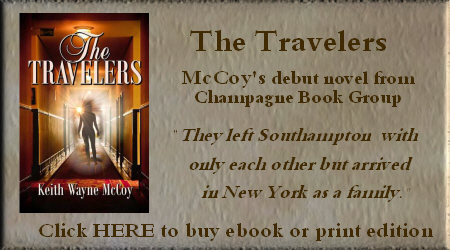 Also, I would be willing to send a free ebook of my first novel “The Travelers” which centers around the QM. It has supernatural elements so if you’re not interested in that type of theme, I understand. Otherwise, send me the email to which you would like the ebook sent and I shall do so. As a matter of fact, if it is not inconvenient, I would love a review and rating for Amazon.